Bitdefender Antivirus Plus 2018 is a premium software for antivirus and ransomware protection. So, to make it safe to use the internet on your computer or other devices, you can use Bitdefender antivirus. 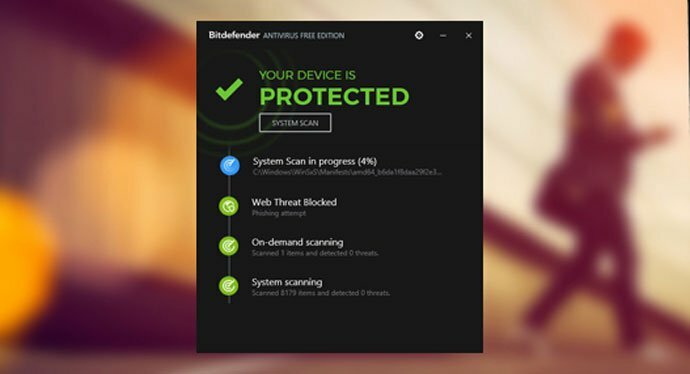 If you’re looking for a free antivirus download, Bitdefender also has you covered with a nifty free app that will run silently in the background on your PC. But most of the antivirus software available on the internet does not always manage to protect against ransomware. That is why you need the best one. Bitdefender comes with advanced technologies to protect from all types of viruses and ransomware. 1 What is Bitdefender Antivirus Plus 2018? What is Bitdefender Antivirus Plus 2018? Bitdefender Antivirus Plus 2018 is a software that protects different types of devices against ransomware. 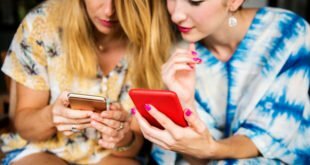 However, it is not at all a surprising thing that your computer or other devices can end up attacked by viruses or can become encrypted with ransomware. So to enjoy your tension-free computer time, and keep all your data safe and secure, you can use this antivirus tool. Bitdefender comes with a lot of shielding features. It is the full set antivirus with quick scans, better system performance, and the capacity to customize all aspects of protection. However, it may take longer to scan your device. Let’s see what the important features of this antivirus tool are, at the reasonable price. This antivirus has full power to work against all the threats such as the viruses, Trojans, ransomware, rootkits, spyware, and others. So you can keep all your data safe and protect your PC from all threats. Additionally, if you want even more security, Bitdefender’s anti-ransomware tool especially protects you from specialized ransomware threats. 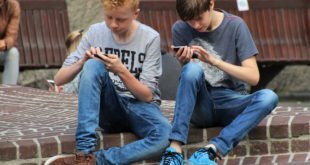 Bitdefender has a technique which is known as behavioral detection to monitor active apps closely. If it finds any malware or other threats, it stops them instantly. We always like to keep all our important and sensitive documents and data in close proximity. But is it safe with us? No, we need the best protection for our important files and documents. Bitdefender antivirus will keep all your personal files safe from encryption programs. When you browse anything on your computer browser, the Bitdefender antivirus blocks any websites which are not trustworthy and can steal your important data or passwords. The filtering system of this antivirus is advanced and it warns anyone who is about to visit any scam websites. This antivirus keeps your search results safe before you click on any link. It blocks all threats during searching. There are some viruses that need to removed before you start your Windows. But Bitdefender Antivirus 2018 can detect them and then reboot your PC in a rescue mode to clean up all these viruses and restore the PC. This antivirus has an autopilot feature. This feature will open when you switch it on and it will run all the cyber-security measures in the background. Then it makes security optimal without asking you to click on any pop-up or dialog boxes. So there is nothing to configure or set up. 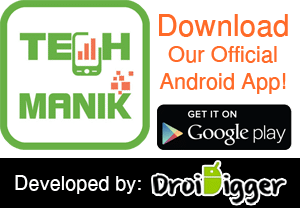 This software does the heavy scanning works in the cloud and it does not have any noticeable impact on local resources. This means that the speed of your system remains unaffected. Thus your files remain private. This software does not scan the contents of any files and does not upload them to the cloud storage. When you play, work, or watch any movie, your Bitdefender will also be working in the background for you. It does this by keeping your computer safe from all kinds of unwanted requests. You can focus on whatever it is that you are doing without any worries. It also pauses all unwanted backgrounds to enjoy your activity to the maximum. This antivirus has a battery saving mode. It is an excellent feature that saves the battery life of your devices such as laptop, mobile phone or tablet. It tweaks the system’s settings temporarily, including the system cooling, Bluetooth, display and others. This antivirus keeps all your systems protected and safe. You can buy it safely by using your credit card through Safepay. You need not worry about the payment’s security. It keeps your social media and network safe from any malicious links which can be presented to you via friends on Facebook, Pinterest or Twitter. You can store any passwords, sensitive information or other things, secured in a vault of this antivirus, so as to easily access them at a later time. There is also a password manager option for keeping all your passwords safe. With this feature, you can delete any file you want to remove for good, or do not want to leave any traces of it on your computer. Firstly, you need to create an account of Bitdefender Central. Then, go to the tab called My Devices. From there, you will need to find the “Install Bitdefender” button. Click on it. Now you will be presented with two options. You can click on either one of them. One is to install it directly on your computer. Another makes the installation available on another device. If you choose the second option, you need to click the continue option that will appear to the next. Then type your email in this option and click send button. You should wait for few minutes to complete the download. When the download is completed, click on the installer. Here, you can select the language you want before starting the installation. 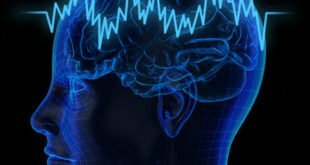 If your computer has any viruses, the software will detect it and your system will need to reboot. Then click the finish option when the process gets completed. 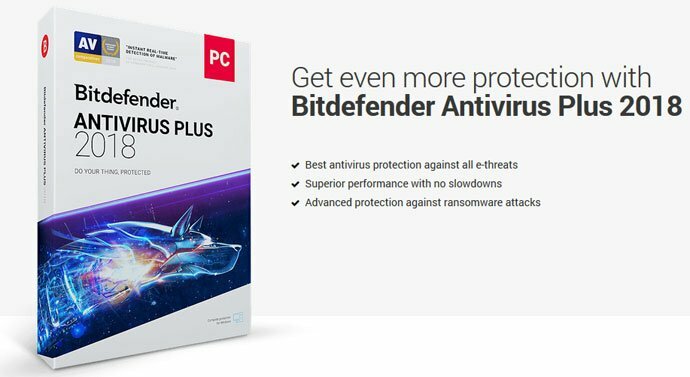 We see that Bitdefender Antivirus Plus 2018 is really an amazing antivirus software for your computer. So try this software for the best security and protection you can find. It really does work better than other antivirus tools.